The AMS series of loudspeakers are full-bandwidth enclosures designed for indoor or outdoor use in theme parks, hotels, restaurants, houses of worship or retail. They are IP65 rated, withstand temperatures of -40 to +80 degrees Celsius, and are optimised to work alongside certain Lab Gruppen power amplifiers. 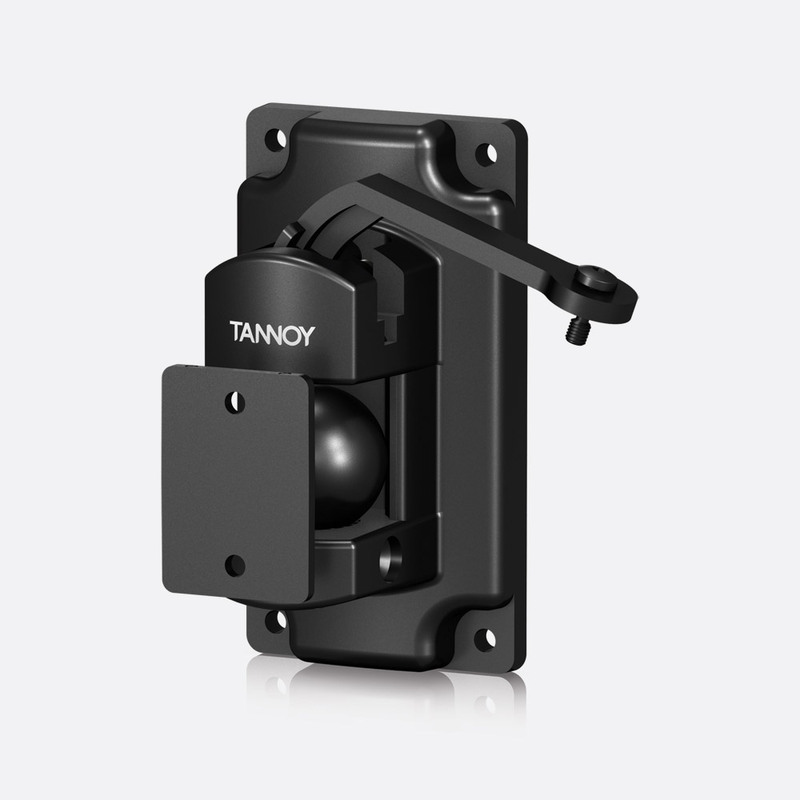 The speakers can be wall or ceiling mounted using the attached bracket, or in conjunction with the various optional mounting adapters. For suitable amplifiers see Lab Gruppen Power Amplifiers - Lucia - 70V, 100V and see Lab Gruppen Power Amplifiers - Lucia - Low impedance although other amplifiers could be suitable. 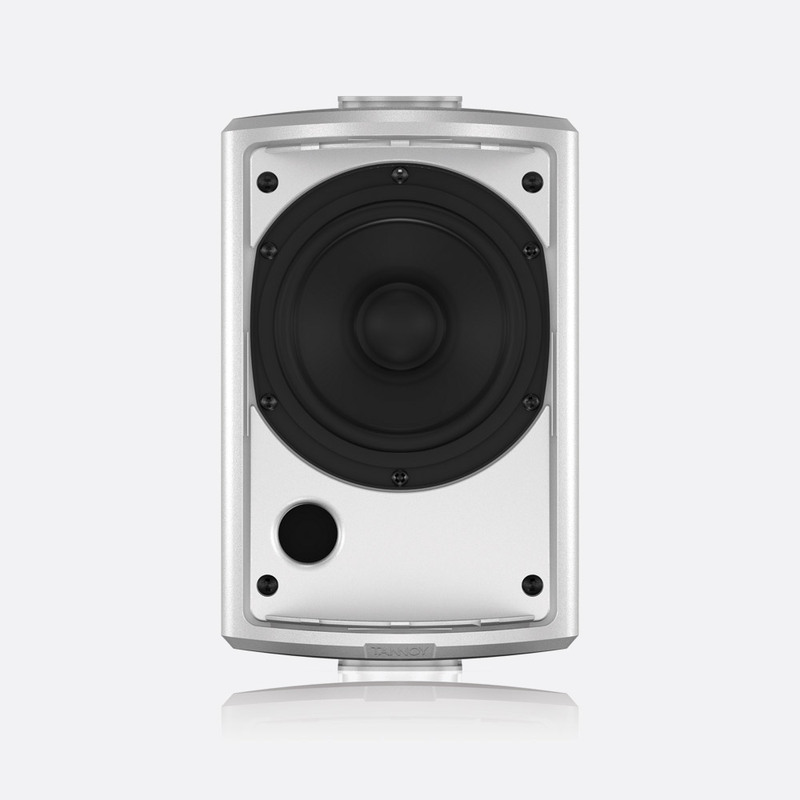 Available in black or white this IP65 rated, water-resistant, 60 watt loudspeaker houses a five-inch, dual concentric, driver to convey frequencies of 90Hz to 30kHz (-3dB). The driver has a 35mm voice coil for the low frequencies and a 20mm PEI dome for the high frequencies. 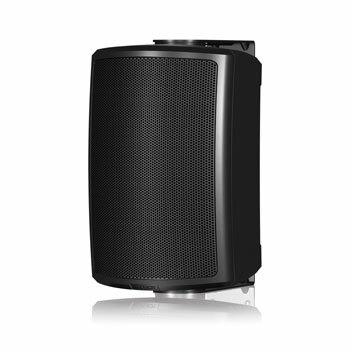 The AMS 5DC has a conical dispersion of nominally 90 degrees and a sensitivity of 87dB (1W at 1m) and a peak output of 111dB SPL. Transformer taps of 3.75/7.5/15/30W at 70V and 7.5/15/30W at 100V can be accessed using a rotary dial on the rear panel of the cabinet, whilst a low impedance setting of 16 ohms can also be accessed. Tannoy recommend using an amplifier rated at 120W at 16 ohms when using the AMS 5DC in low impedance mode. A weatherproof cover with cable gland protects both the Phoenix style connectors and the transformer tap. 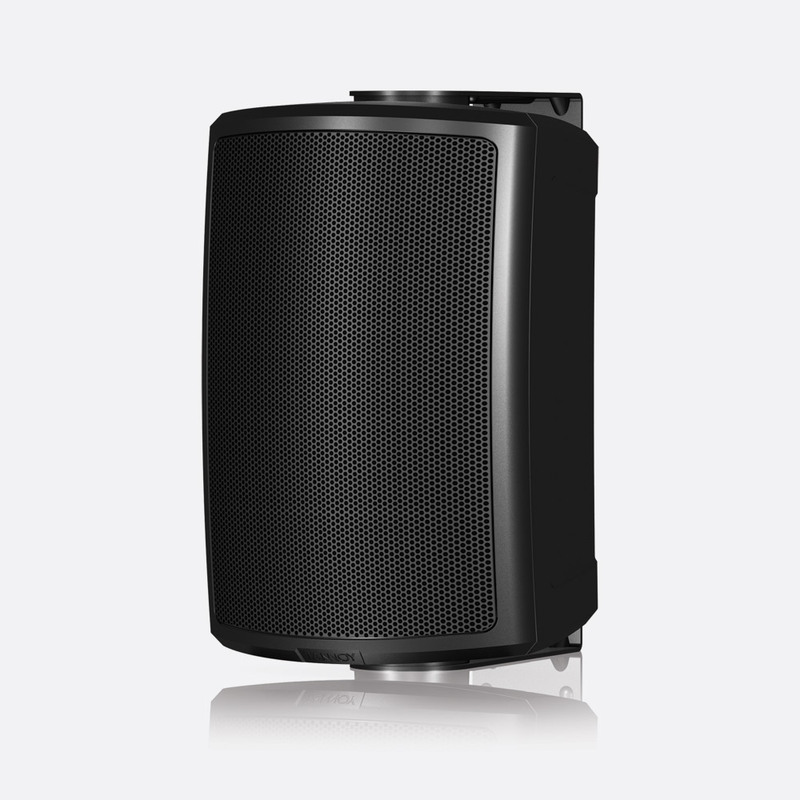 Frequency response: 90 - 30000Hz, -3dB; 80 - 40000Hz, -10dB. Output: 87dB SPL at 1m; 111dB SPL, peak. Power handling: 60W, average; 120W, programme; 240W, peak. Dimensions: 248 x 155 x 203.9 (HxWxD) mm. Weight: 3.6kg. This IP65 rated loudspeaker has a five inch ICT (Inductive Coupling Technology) driver with a single 130mm cone of 'treated multi-fibre paper pulp' cone. 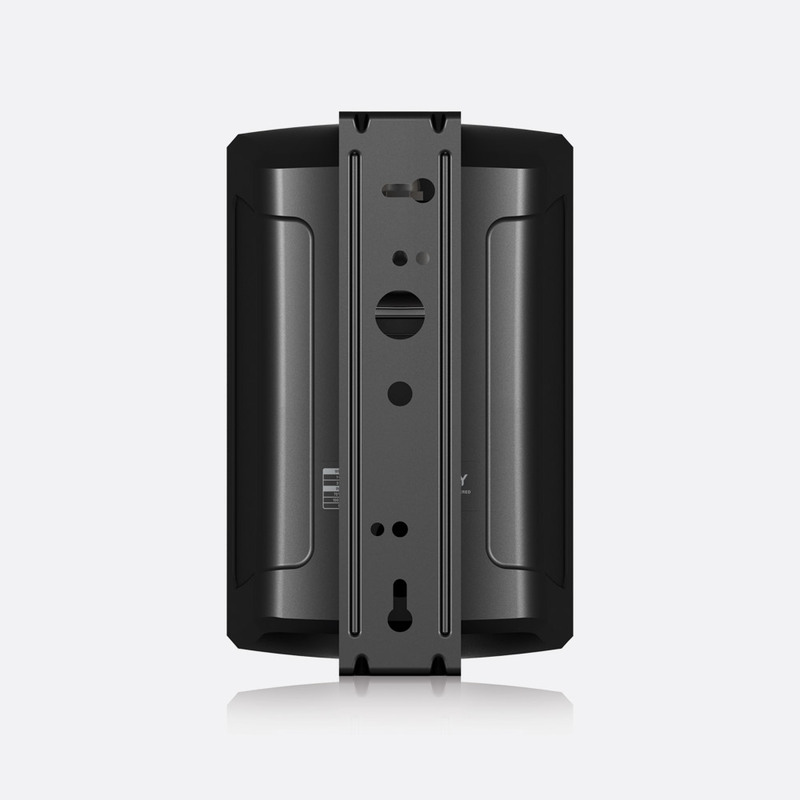 Like the AMS 5DC this speaker is designed for indoor or outdoor applications, however as the ICT driver has no high frequency driver it is more suited to outdoor applications such as theme parks. Transformer taps of 3.75/7.5/15/30W at 70V and 7.5/15/30W at 100V can be accessed using a rotary dial on the rear panel of the cabinet; a low impedance setting of 16 ohms can also be accessed. Tannoy recommend using an amplifier rated at 100W at 16 ohms when using the AMS 5ICT when using the low impedance setting. Frequency response: 90 - 22000Hz, -3dB; 80 - 30000Hz, -10dB. Output: 88dB SPL, 1W at 1m; 111dB SPL, peak. Power handling: 50W, average; 100W, programme; 200W, peak. Dimensions: 248 x 155 x 203.9 (HxWxD) mm. Weight: 3.4kg. This has the same audio properties as the AMS 5ICT but has been designed particularly for fire alarm and emergency communication applications and has UL 1480 UUMW approval certification. 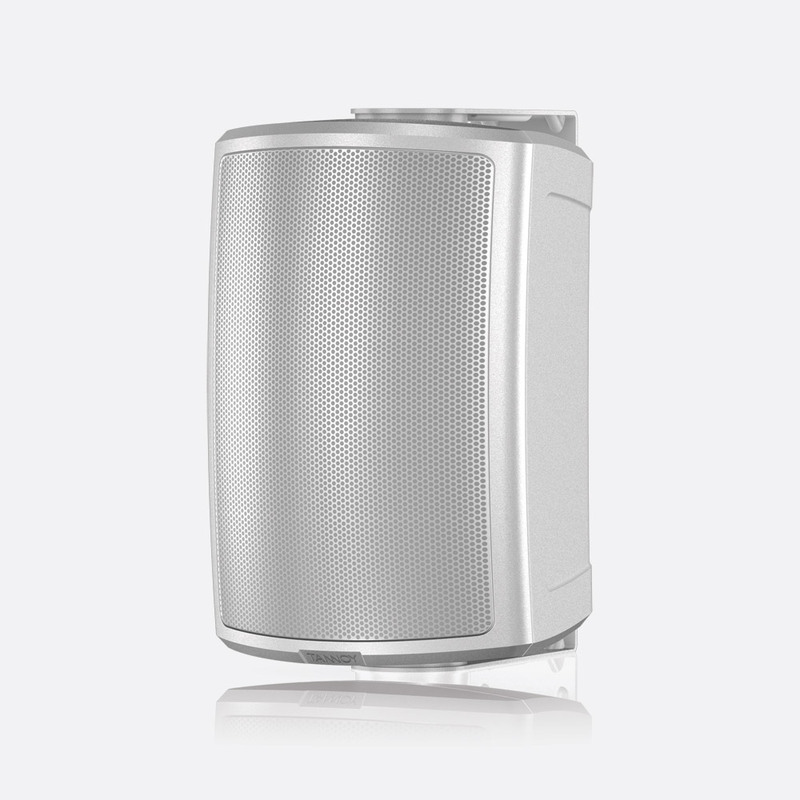 This 80W, IP65 rated, water-resistant loudspeaker has a six inch, dual concentric driver, with 'Omnimagnet technology' and is capable of producing frequencies of 75Hz to 30kHz (-3dB), or 55Hz to 40kHz (-10dB). The dual concentric driver has a 44mm voice coil for the low frequencies and a 25mm PEI dome for the high frequencies. AMS 6DC has a nominal dispersion of 90 degrees conical. Transformer taps of 7.5/15/30/60W at 70V and 15/30/60W at 100V can be accessed using a rotary dial on the rear panel of the cabinet. 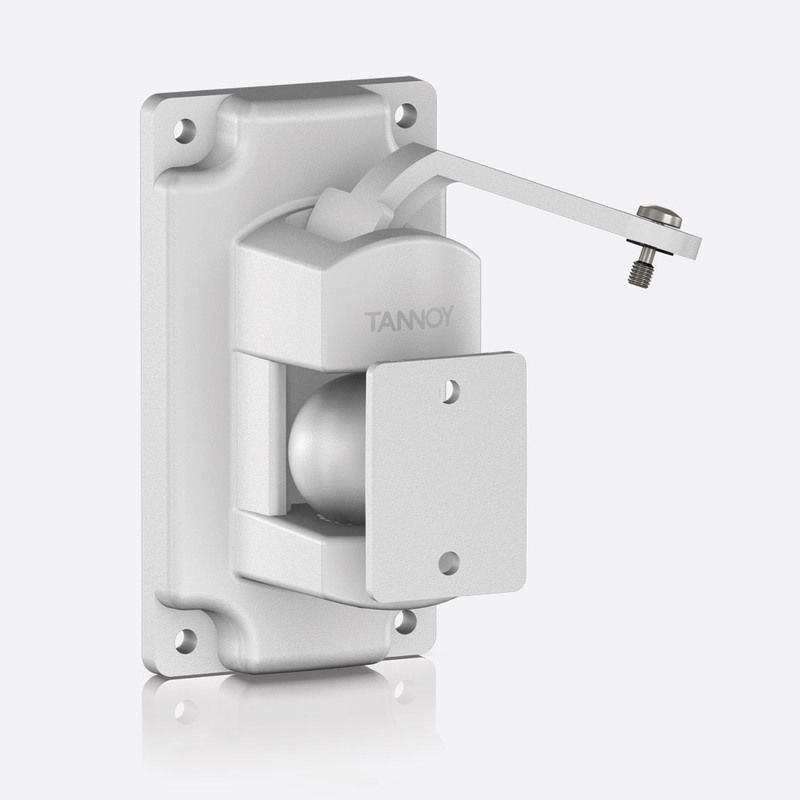 A 16 ohms setting, which Tannoy recommend be used with an amplifier power of 160W, can also be accessed. A weatherproof cover with cable gland protects both the Phoenix style connectors and the transformer tap switch. Frequency response: 75 - 30000Hz, -3dB; 55 - 40000Hz, -10dB. Output: 89dB SPL, 1W at 1m; 114dB SPL, peak. Power handling: 80W, average; 160W, programme; 320W, peak. Dimensions: 364.8 x 230 x 268.8 (HxWxD) mm. Weight: 6.25kg. Using the same ICT technology as the AMS 5ICT, the AMS 6ICT with six inch driver is also more suited to outdoor applications such as theme parks, but equally as with indoor installations. Transformer taps of 7.5/15/30/60W at 70V and 15/30/60W at 100V can be accessed using a rotary dial on the rear panel of the cabinet, whilst a low impedance setting of 16 ohms can also be accessed. Tannoy recommend using an amplifier rated at 120W at 16 ohms when using in low impedance mode. Frequency response: 75 - 22000Hz, -3dB; 55 - 30000Hz, -10dB. Output: 90dB SPL, 1W at 1m; 114dB SPL, peak. Power handling: 60W, average; 120W, programme; 240W, peak. Dimensions: 364.8 x 230 x 268.8 (HxWxD) mm. Weight: 5.25kg. This has the same audio properties as the AMS 6ICT but has been designed particularly for fire alarm and/or emergency communication application. 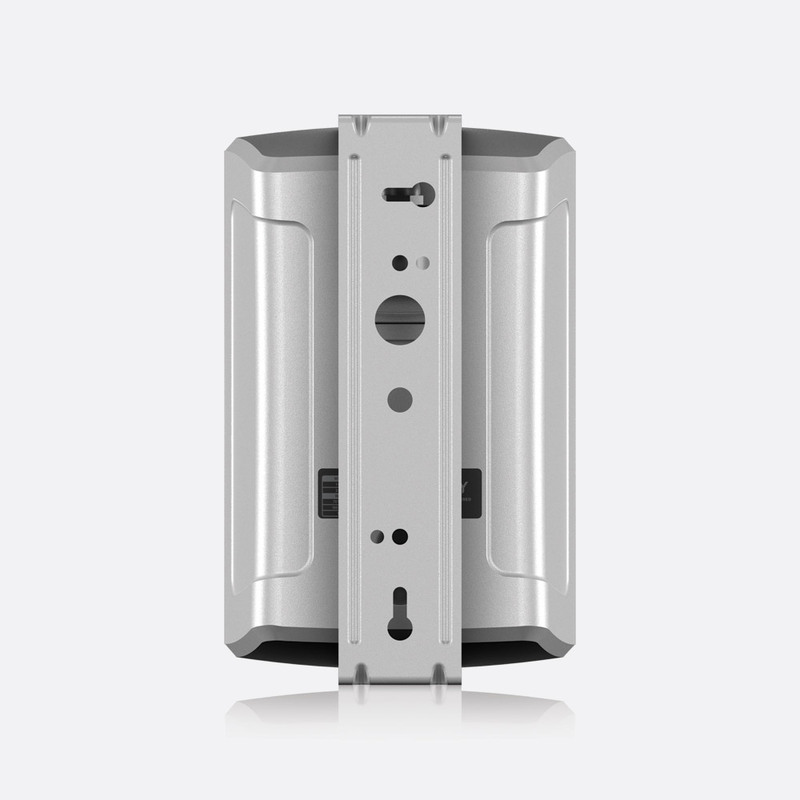 It has UL 1480 UUMW approval certification. Frequency response: 75 - 22000Hz, -3dB; 55 - 30000Hz, -10dB. Output: 90dB SPL, 1W at 1m; 114dB SPL, peak. Power handling: 60W, average; 120W, programme; 240W, peak. Dimensions: 364.8 x 230 x 268.8 (HxWxD) mm. Weight: 5.4kg. Frequency response: 90 - 30000Hz, -3dB; 80 - 40000Hz, -10dB. Output: 87dB SPL, 1W at 1m; 111dB SPL, peak. Power handling: 60W, average; 120W, programme; 240W, peak. Dimensions: 248 x 155 x 203.9 (HxWxD) mm. Weight: 3.6kg.